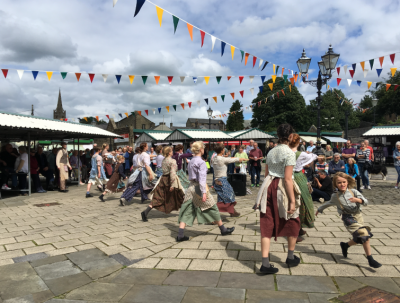 Jenny founded About Time Dance Company in 2016 after returning to her home of Lancashire. The company is inspired by Jenny’s love for heritage and forgotten stories from the North of England. She aims to share through high quality dance performances and projects. She also has a passion for engaging different communities in arts and dance that wouldn’t usually do so by using heritage and social history as an initial point of interest. 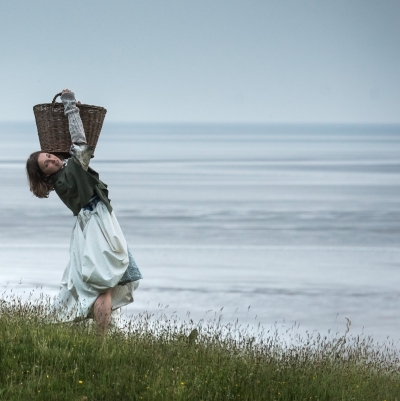 Her first professional touring work ‘Cotton’ has toured the North West region with the aim to share tales from Lancashire’s Mills. 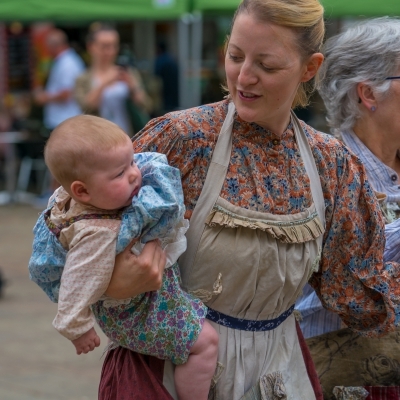 Moving forward from this success Jenny has recently created a brand new show called ‘Walking Watling Street’ which uncovers the incredible forgotten story of the great 1913 Pilgrimage. She has also created a large participatory project for Morecambe Bay Partnership called Gone Fishin’ which illuminates the rare fishing traditions of the Bay. 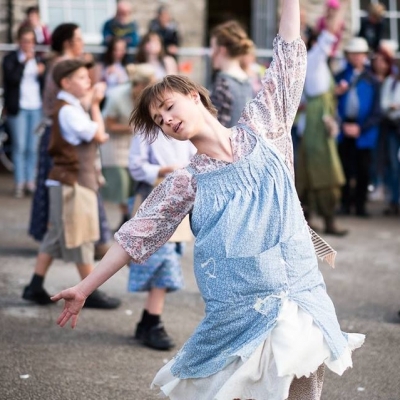 As a dancer Jenny recently performed in the critically acclaimed work ‘Passage for Par’ by Rosemary Lee which was described as world class by the financial times. https://www.ft.com/content/94554c94-7e04-11e8-af48-190d103e32a4 She has experienced the phenomenal transformation of site through dance which will certainly aid the creative process for Longways and Crosswise. We work collaboratively with artists across different art forms. Below are the biographies of our fantastic team! 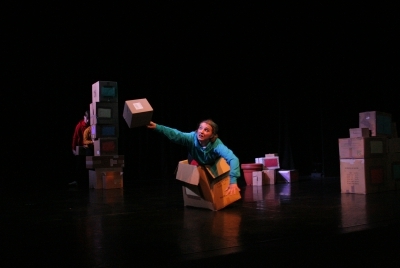 Lucy’s diverse work as a performer and teacher extends across the globe. Her love for movement and dance invention sees Lancashire born Lucy perform with companies, choreographers and directors. She dances in a variety of contexts, from the stage, to outdoors, opera, video, festivals and eclectic sites. A member of Made by Katie Green since 2013, Lucy tours extensively to caves and museums nationwide. In the UK, America and Europe other examples of her work include Moxie Brawl, Cie. Leg, Opera North, Christopher Williams, Casson & Friends, MakeAmplify and Rosemary Lee. In 2009 Lucy gained her first class degree from London Contemporary Dance School and a distinction for her postgraduate diploma (Verve, company pathway) from NSCD in 2010. 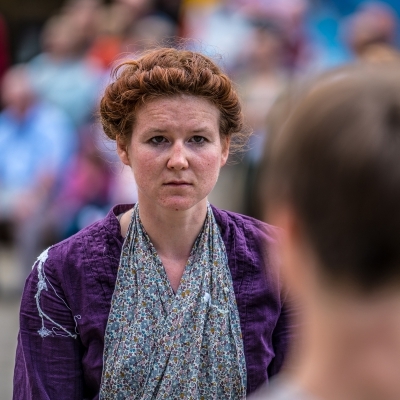 Lucy joined AboutTime Dance Company in 2016, and performs in Cotton, Walking Watling Street, and Longways and Crosswise. Aimee is a Lancashire born dancer. After training with The Royal Ballet School and Rambert School of Ballet and Contemporary Dance, she performed with Rambert Dance Company at In Transit Festival, London. She then went on to tour nationally and internationally with Ballet Cymru in their productions of Giselle, Beauty and the Beast, Little Red Riding Hood and the Three Pigs, and The Tempest. It was here she collaborated with Cerys Matthews in the production TIR. Recently she has been working on various projects with Androna Dance Theatre, Born & Bred Dance Theatre, and Turnaround Dance Theatre, and currently is working with AbouTime Dance company. Her repertoire so far includes Cotton, and Walking Watling Street, which she has enjoyed performing across the region. Helen is a Lancashire based Dance Artist and Co-Director of LPM Dance Theatre. Helen is delighted to be working with AbouTime Dance Company on various projects. She has performed in Cotton with her new baby and she will join us in our new work Longways and Crosswise. She also regularly project manages our work. In 2011, with a joint ambition to develop new dance experiences in the North West, she established LPM Dance Theatre with George Adams. The company now has a track record of delivering a widely varied programme of participation and performance work for a diverse range of settings. The company frequently work in collaboration with other artists and regional organisations, offering project management, fundraising support and mentoring. Lee Affen is a composer, music producer and sound designer from Manchester, now based in Sheffield. His passion for music has led him to work in bands, write for singers and compose for theatre, film and dance. 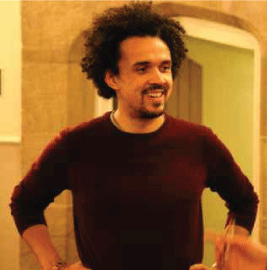 He has worked with About Time Dance company on their productions of Cotton, Gone Fishin’, Walking Watling Street and Longways and Crosswise. Lee’s ultimate passion is creating sound with dancers in the same space. 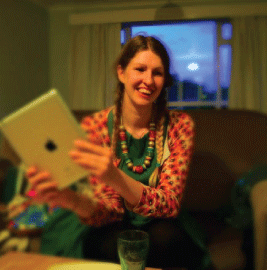 Katie Duxbury graduated from Nottingham Trent University in 2009 with a degree in Theatre Design. 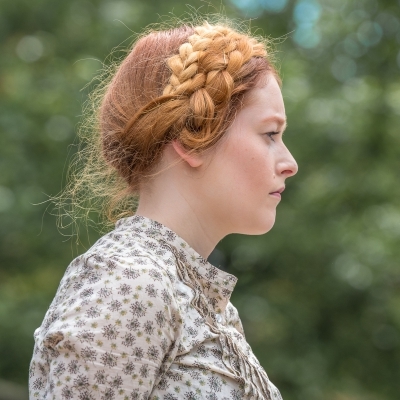 Since then she has worked in wardrobe departments across the country, in roles ranging from Costume Maker and Dresser to Wardrobe Supervisor. She is now based in Lancaster, where she works regularly as Wardrobe Deputy for the Dukes Theatre. 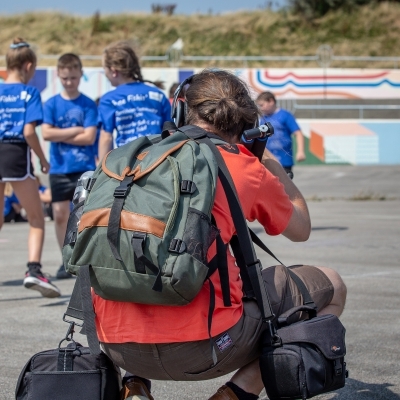 Jonny Randall is a Cumbrian freelance artist working with film and performance whose practice aims to capture the authentic stories of people and places. Much of his documentary film work is rooted in community projects and capturing the beauty of ordinary lives. 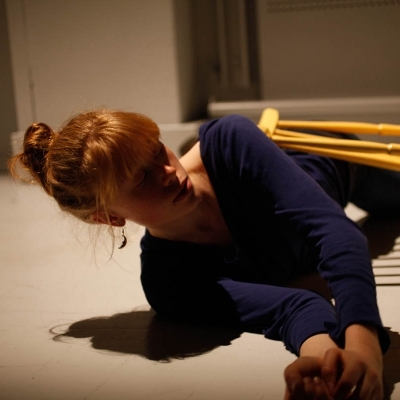 Ellen is a dance artist and researcher based in Lancaster, UK. A trained choreologist, she is currently studying for an AHRC-funded PhD in site-specific dance practice at Lancaster University. Having graduated from Trinity Laban Conservatoire, London (BA Dance Theatre) and University of the Arts, Helsinki (MA in Live Art and Performance Studies) she has worked for dance scholar Dr Valerie Preston-Dunlop and performed on projects with SAP Dance, LPM Dance Theatre and Summit Dance Theatre, as well as choreographing and performing her own works across Finland and the United Kingdom. She is an Associate Lecturer at Lancaster University and teaches release technique at Ludus Dance, Lancaster. Ellen is very excited to be co-choreographing Longways & Crosswise with About Time Dance Company, and to be collaborating with such wonderful, talented artists from the North West! 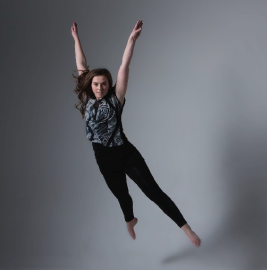 Celeste is a Derbyshire based dance artist, who completed her degree in Dance Performance and Teaching at The University of Central Lancashire, where she first took class with Jenny. Celeste thoroughly enjoyed working with AbouTime Dance Company as a member of the community cast for their 2017 tour of Cotton. She is now back as an apprentice dancers for the company’s commissioned work ‘Longways and Crosswise’. She loves working within community settings and making dance enjoyable and accessible for everyone to enjoy. Anna will join the company for Longways and Crosswise as an apprentice dancer. 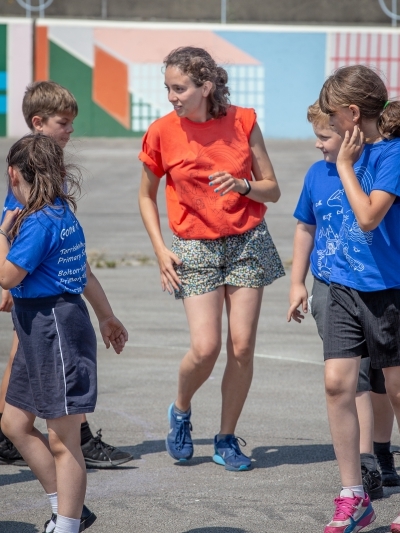 As a recent graduate from the UCLan Dance Performance and Teaching degree she is still exploring a range of career options, however her interests lies in working within community settings and in choreography. Some of her choreographic pieces have been chosen to represent UCLan at events such as; Wigan Arts Festival, Big Up North and Originate. We’re excited for Anna to join our creative team.